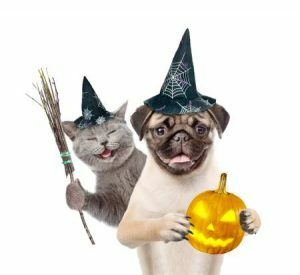 Blog | Interlachen Animal Hospital | "Your Neighbor Vet!" 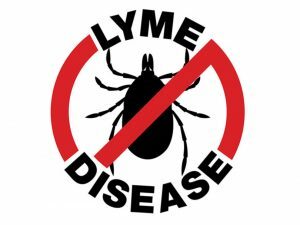 May is national Lyme Disease Prevention month. Lyme disease is caused by the corkscrew-shaped bacteria, Borrelia burgdorferi. The bacteria are carried by ticks which transmit the infection when they feed on animals and humans. The disease can cause generalized illness in animals and humans worldwide. The type of ticks that can transmit the bacteria wildlife to humans and domestic animals are the Ixodes ticks. When a tick feeds on a wildlife animal infected with the bacteria, the tick picks up the bacteria and can transmit it to another animal or human the next time they feed. The most common sign of Lyme disease in dogs is arthritis, which causes sudden lameness, pain ands sometimes swelling in one or more joints. Other signs that may be seen include fever, lack of appetite, dehydration, inactivity, and swollen lymph nodes. In severe cases, the infection can cause kidney failure and death although this does not occur commonly in dogs. The signs of heart and nervous system dysfunction seen in infected humans are not often seen in animals. Lyme’s disease is easily treated with antibiotics. The signs of Lyme disease usually regress rapidly in response to treatment. If the disease remains untreated the disease becomes chronic and can cause kidney damage although dogs are much less likely to develop chronic disease than are people. The best way to protect pets from Lyme disease is to take preventive measures to reduce the chance of contracting the disease. *Use reliable tick-preventive products. Speak with your veterinarian about what tick preventive product is right for your pet. 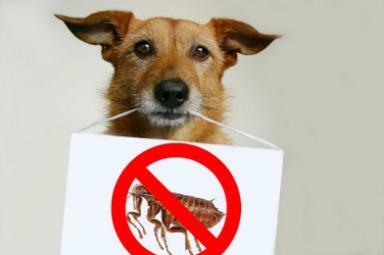 *Work with your veterinarian to decide whether to vaccinate your dog against Lyme disease. Your veterinarian’s advice may depend on where you live, your pet’s lifestyle and overall health, and other factors. *When possible, avoid areas where ticks might be found. These include tall grasses, marshes and wooded areas. *Check for ticks on both yourself and your animals once indoors. *Clear shrubbery next to homes. April is “National Heartworm Awareness” month. Heartworm disease is a severe and potentially fatal disease caused by foot-long worms that live in the heart, lungs and associated blood vessels of affected dogs. It causes severe lung disease, heart failure and damage to other organs in the body. Mosquitoes spread the disease. When a mosquito bites an infected animal, it picks up baby worms, which develop and mature into “infective stage” larvae over a period of 10-14 days. Then when the mosquito bites another dog, the infected larvae are deposited onto the surface of the animals skin and enter the new host through the mosquitoes bite wound. Once inside the host, it takes approximately 6 months for the larvae to mature into adult heartworms. Once mature, heartworms can live for 5 to 7 years. In the early stages of the disease, many dogs show few symptoms or no symptoms at all. Initial Signs of heartworm disease may include mild persistent cough, inactivity, fatigue, loss of appetite and weight loss. As the disease progresses, dogs may develop heart failure and fluid buildup in the abdomen. If there are great numbers of heartworms present a sudden blockage of blood flow to the heart can develop. Heartworm disease causes lasting damage and can affect a dog’s health and quality of life long after the parasites are gone. That is why prevention is the best option. 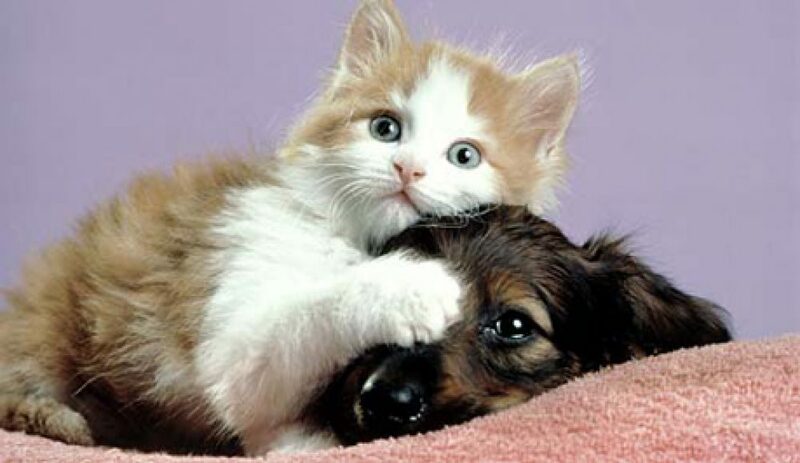 How often should we have our pet’s teeth cleaned and what are some of the signs that a cleaning is needed? 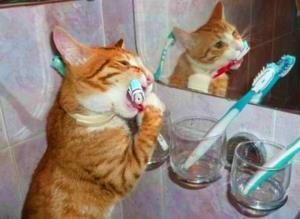 Dental health is a very important part of your pet’s overall health and dental problems can be the cause of many other health problems. During your pet’s earlier years, their teeth and gums should be examined at least once a year to check for early signs of a problem and to keep your pet’s mouth healthy. As they age, you may have them checked and cleaned twice a year to prevent periodontal disease and infection from spreading throughout their body. Some signs to look for include bad breath, broken or loose teeth, extra teeth or retained baby teeth, teeth that are discolored or covered in tartar, abnormal chewing, drooling or dropping food from the mouth, reduced appetite or refusal to eat, pain in or around the mouth, bleeding from the mouth or swelling in the areas surrounding the mouth. January: National train your dog month. Q: When should you start training? A: According to the American Veterinary Society of Animal Behavior, puppies can start socialization classes as early as seven to eight weeks of age. There are many reasons for training your pet. The most obvious reasons for training your dog are to instill good behaviors and prevent inappropriate ones from developing; here are some other ones to know about. 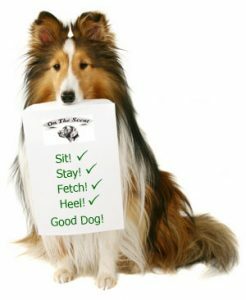 –Life skills: training your dog gives the two of you a common language and teaches your dog how to navigate our world. –Freedom: training is your dog’s passport to the world. The well-trained dog can go to more places, meet more people and have more adventures because he follows the rules. –Ambassador skills: dogs and humans alike enjoy being around a polite pup that knows how to hang. 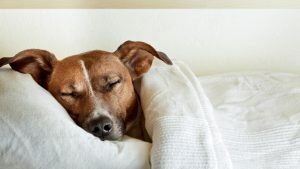 –Peace of mind: when your dog has mastered training, you don’t have to worry that he’s going to run out the door and not come home or drag you down the street until your shoulder is sore. –Bonding: working through basic training exercises as a team helps to cement your relationship with your new best friend. –Mental exercise: dogs need to work their bodies and their brains. Even though many basic training lessons don’t require much physical exertion, the mental aspect of figuring out the exercise can tire even the most active puppies. Dogs can often dream. They actually experience dreams similar of dreaming to humans – including rapid eye movement (REM), (the stage of dreaming we tend to remember). Paw movement and twitches are also just some of the ways you can spot a dreaming dog. Even more amazing Harvard experts suggest that your dog is quite likely to be dreaming about you! How sweet! Springtime Brings Fleas and Parasites!! Otherwise enjoy the sunshine and warmer weather with your four-legged family members! This weekend the boys took off to the sea and enjoyed some bonding time while fishing. They tried to scope out where the good fish would be at! And then Darryl caught dinner!